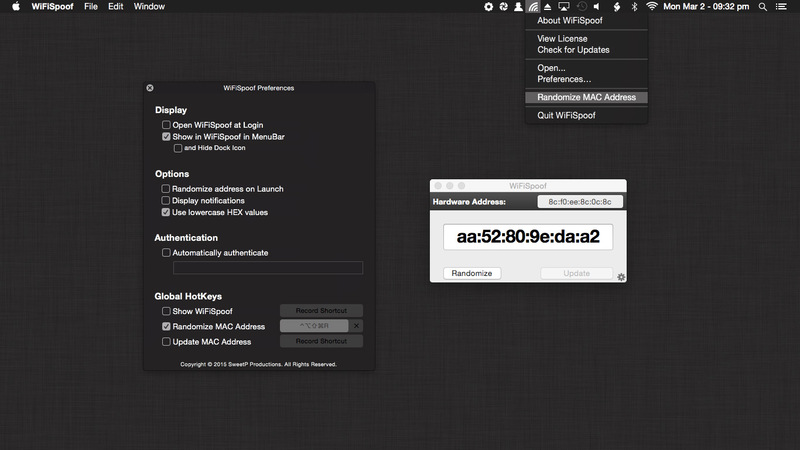 WiFiSpoof 3.1 – Change your WiFi MAC address. WiFiSpoof is a necessary app in any system network administrators toolbox. Next story Multitouch 0.0.8 – Easily add gestures to macOS. Previous story Paste 2.3.5 – Smart cloud clipboard and snippets manager. WiFiSpoof 3.0.4 – Change your WiFi MAC address. WiFiSpoof 2.3.3 – Change your WiFi MAC address.